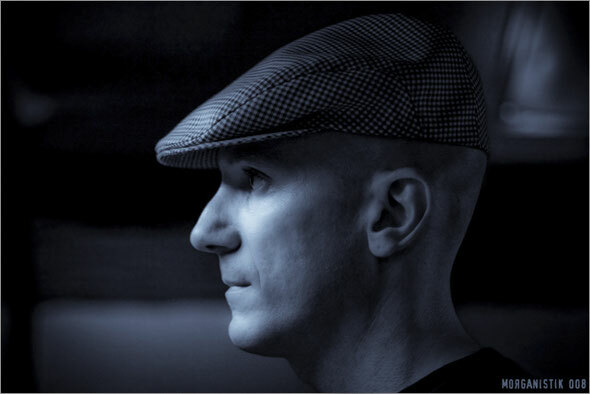 Continuing Motech’s 10 year celebrations and after a party at London’s fabric in March, DJ 3000 now presents ’10 Years Of Motech (The Remixes) Part 2 EP’ ahead of the full length remix CD due this summer. Part 1 already saw both DJ 3000 and Sascha Sonido take on Gerald Mitchell’s ‘Belly Dancer’ from MT-008. Now UK techno legend Mark Broom takes a brief break from his Beardman imprint to add this killer interpretation for an impressive opener. Next up is Goodlife’s Kiko who doesn’t disappoint with his driving new rendition of DJ 3000’s ‘Defiant’ (MT-015), toughening up the original but still maintaining its funk-fuelled roots. The rest of the EP features remixes of two tracks taken from Franki Juncaj’s 2011 album ‘Invisible Moods’. Firstly, ‘I’ll Be Around’ gets the remix treatment from another UK favourite, Atomic Jam’s Chris Finke, who turns in a version that’s straight for the dancefloor. While Detroit’s Luke Hess, whose releases have appeared on the likes of Echocord, Kontra-Musik and the mighty Planet-E, delivers a moodier take on things, with deep pads and a grooving beat. Continuing the Detroit theme ‘Moodstream’ is taken on by new motor city star OktoRed, who was named one of Beatportal’s “Artists To Watch 2012”, showcasing his characteristic blend of styles that takes in Detroit, dubstep, moombahton and future bass. The Eerier Child from Rotterdam’s Black Sunday Recordings finishes off the EP in fine style with a reworking that utilises his love of combining techno with dubstep, powerful drums and an eerie atmosphere. 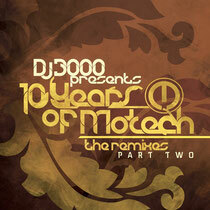 ‘DJ 3000 Presents 10 Years of Motech (The Remixes) Part 2’ is released on vinyl and digitally on 14th May.